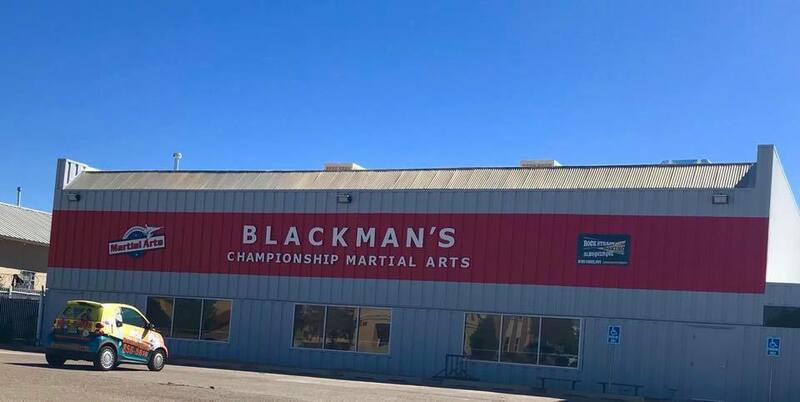 Blackman's Championship Martial Arts/Taekwondo, with over 500 students, is the finest school in the Albuquerque area, dedicated to making your Martial Arts experience enjoyable and satisfying. Our instructors are the best! They have studied and trained for years to qualify as part of the Blackman's Championship Martial Arts/Taekwondo Team, and their primary goal is to assist you in being the best you can be. Our carefully structured programs go far beyond punching, blocking and kicking. We will help you acquire effective self-defense skills and provide you with a comprehensive, personal development & Life Skills program. It is our goal to raise the quality of life for all our students in every way possible. Although we honor Martial Arts traditions that go back centuries, we are dynamic and are constantly seeking new and innovative ways to enthuse and excite our students. At our Academy we also host various activities and events for everyone’s convenience and enjoyment. We have Graduation Parties to celebrate belt promotions, “Make-Up Camps”, In-House Tournaments to build camaraderie amongst our students, “Buddy Days”, special seminars with featured guest Masters and Grandmasters, an annual Anniversary Party with Academy Awards, and many more exciting events. We also offer Birthday Parties filled with exciting Martial Arts Games and a Black Belt instructor ready to teach awesome techniques to all our birthday guests. We pledge to make each student’s journey as fun, exciting, and educating as possible. We monitor progress closely and walk with students every step of the way. We believe that being a Martial Artist is not jut learning to kick and punch, it is about becoming the best that you can be in every way. In 2016 Blackman's Championship Martial Arts has partnered up with not only very good friends, but very successful multi school owners, Frank Silverman & Mike Metzger, who own 11 schools in Orlando, Florida. Together, this allows our instructors to not only network with other instructors but also have more training and education which is passed onto our students. We have incorporated the Championship Martial Arts Weapons system into our curriculum for Kamas, Nunchakus, and Bo Staff forms and techniques, and we also have top Martial Arts contacts across the country to support our school and program. Our owners and staff attend conferences 3-4 times per year to continue to improve and grow in the value of our program and effectiveness of instruction. Blackman's Championship Martial Arts is a part of this National network of highly rated schools to bring the best possible experience to our Albuquerque families! TaeKwonDo is action philosophy. It is the Korean art of self defense. Literally translated, TAE means kick or to strike with the foot, KWON means fist or to strike with the hand, and DO means a nonviolent art and system of complete body exercises as well as being a way of life. It includes physical techniques, mental discipline, and a deep philosophy. Incorporating these three aspects into one's life will build ability to be strong, to be humble, to be gentle and to maintain self-respect. TaeKwonDo philosophy emphasizes good health, happiness, generosity, and a sense of value of freedom, justice, and peace. All of these inspire both independence and coexistence . TaeKwonDo is an art of humanity. It is a guide for the formation of outstanding character. It is practiced as a modern world sport. It is useful as a contemporary universal philosophy. After one visit to our 8,100 square foot, State-of-the Art training center, you will know why many are saying that this is the most inviting and comfortable Martial Arts atmosphere in Albuquerque. Our Swain/Dollamur matted floor ensures a safe training environment and our professional janitorial service maintains a sanitary and healthy environment. Our reception area provides ample seating and viewing for all, while our classes work out uninterrupted by a floor to ceiling glass partition. We offer separate locker room facilities, featuring personal lockers.